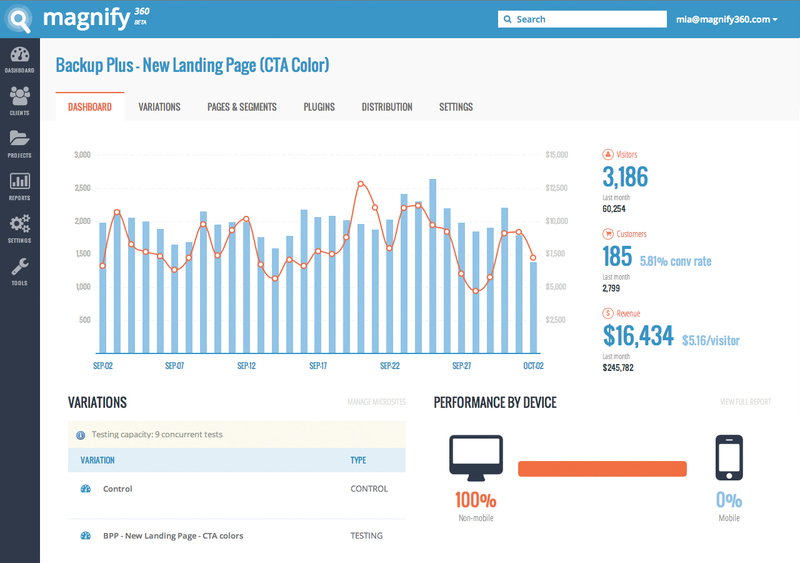 Which landing pages are going to perform the best tomorrow? magnify360's patented Landing Page Optimization Platform allows you to rapidly launch, change, and serve the best landing pages automatically, adapting faster than the best human. 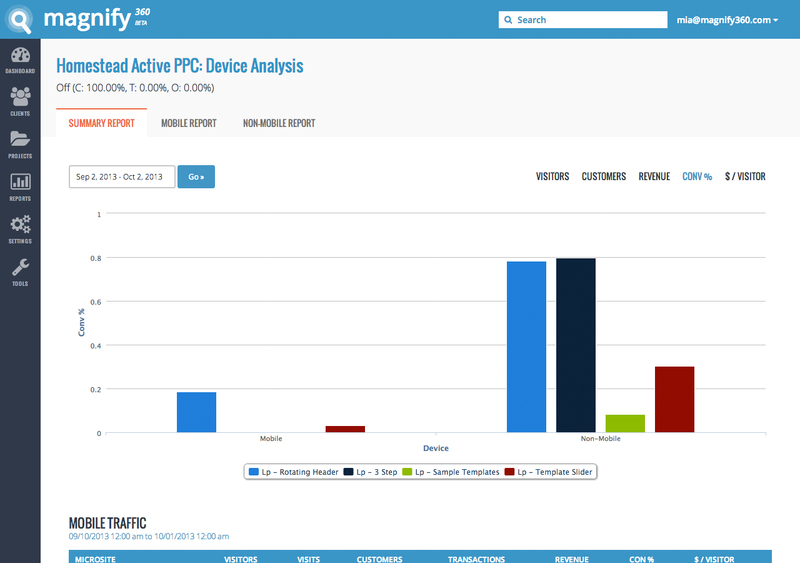 Target devices, traffic partners, seasonality, or any profile data with the ideal user experience. With a Bonus: our conversion experts can help plan and design your next revenue generating pages. Landing pages are like pants. One size (or design) doesn't fit all. By matching your ads to your landing pages, delivering the best content, keywords, CTAs, and images, we can drive more conversions and higher revenues. 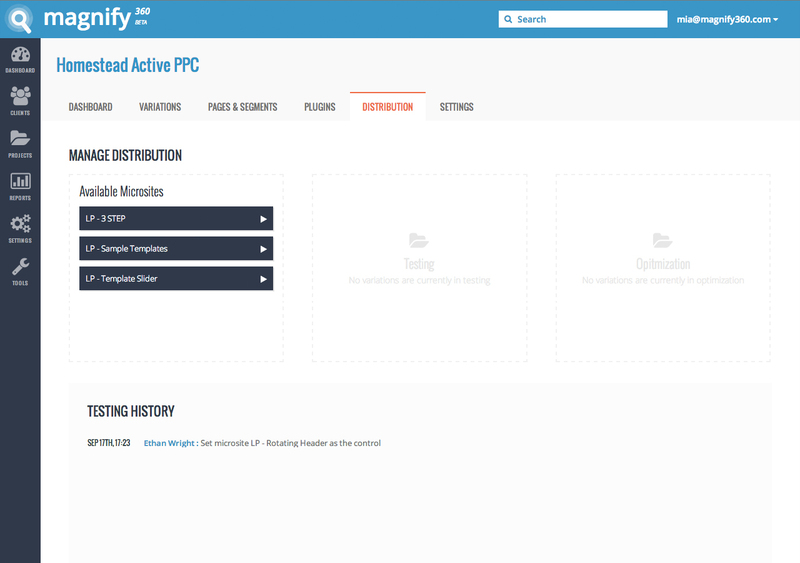 Each keyword, each ad, each device, each user can get a different landing page. Our patented algorithms are always learning, rebalancing traffic every hour. Faster than any human could. With our Dyno technology, anyone can create new price points on the fly in a matter of minutes. Stop losing potential customers with your landing pages. Increase revenues by 10%, 20%, even 50% with our patented technology & team of experts. Too few landing pages hurt your quality score and conversion rate. Deliver as many landing pages as your campaigns can handle. One per keyword? No problem. Need a fresh take on you landing page designs? Our team of UX experts is here to create awesome pages that will improve your conversions. Deliver responsive landing pages just for your mobile users, down to the device, tablet or OS. 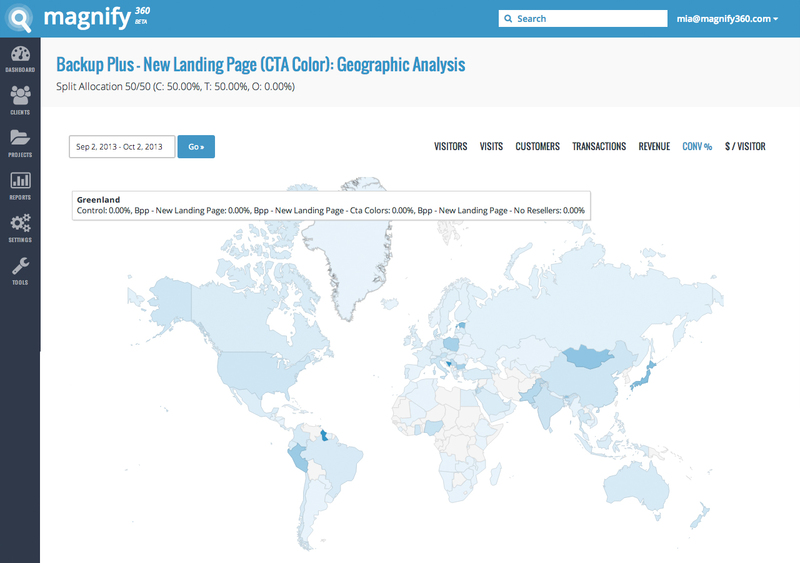 Built-in geo-targeting, dynamic keyword insertion and dynamic content delivery. Show the right pictures, headlines and messaging to increase revenues. Our dedicated team is here to help with everything from analytics to troubleshooting to pricing strategy. 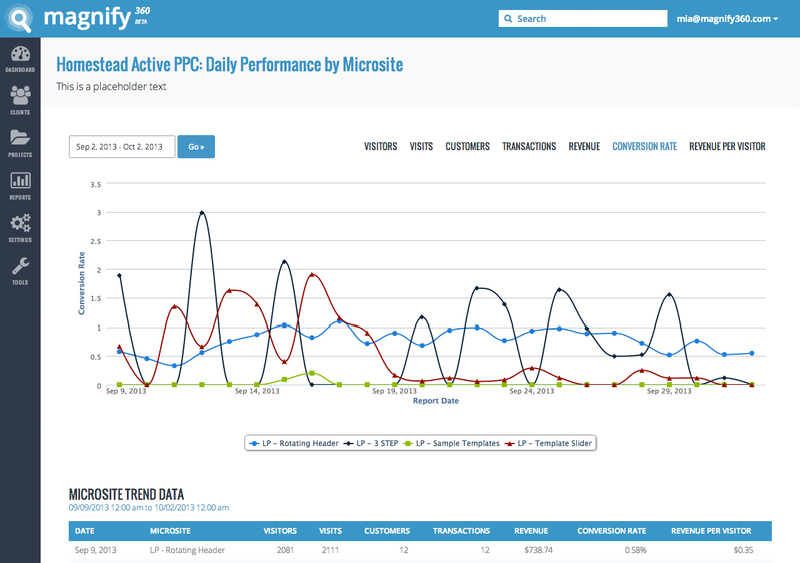 Segment your traffic, vary your landing pages, and analyze the data with our easy to use dashboard. Questions? We have answers... and people with answers. Email us anytime. Direct Marketers driving PPC, Display, Affiliate or other Online Marketing. E-commerce, Paid Subscriptions, LeadGen and more. I don't have time to plan and build out pages, can you still help? Will this work with my system? Yes! All it requires is setting up a CNAME record (if that doesn't sound familiar, we'll work directly with your IT, trust us, its simple) and one conversion pixel. This can be done with a tag management system or directly on the page. We do the rest, including working with all your traffic sources to deliver the best possible pages. Sure, but my system is custom built on a VAX with hyper Ruby using ....? No, we have a great support staff with years of experience. They are online monetization experts, understanding user buying patterns, price sensitivity analysis and e-commerce merchandizing. In addition, we hold monthly and weekly meetings with most of our clients, giving insights and planning for future price improvements and strategy. Usually within 1-4 weeks of testing and analyzing your traffic patterns, our system will learn which patterns drive the pages and you will see a noticeable increase in revenue. By 3 months you should be plowing throw many landing pages, and by 6 months, dancing on the rooftops. Of course, this is based on traffic volume and the types of products you offer. What kind of reporting will I be able to see? Our reporting system has a very user friendly interface that allows you to view visitors, conversions, revenue, product trends and mobile conversions for any date range. In addition, there is a 1 click export feature for all data tables. Do you deal with customer's payment information or other confidential data? No, we simply track which visitors saw which landing pages, and those that successfully purchased, so we never need to collect any confidential information. Can you accept additional data fields, such as past customer activity, age, gender, etc? Yes, for our enterprise customers, we accept additional data fields that can improve the segmentation and targeting of traffic. Will optimization work with my mobile site? Since 2006, we have been focused exclusively on tools and strategies for driving revenue growth for our clients. Whether it's landing page optimization, funnel conversion, or our newest offering, Dynamic Pricing Optimization, our company stays on the leading edge of real-time online performance marketing. Boasting the only patented optimization platform to handle any kind of traffic for e-commerce, leadgen and subscription businesses, our proof is in the revenue we generate for our clients. Born from real-world experience in buying millions of dollars of media per month, this platform delivers millions of dynamic decisions every single day. Our team of rock-star developers, user experience experts, analysts, and online acquisition practitioners work together to bring the best results out for all of our clients. Designing landing pages, improving shopping cart funnels, or mobile-enabling an entire web store - our client team works on the strategy & creative that makes all the difference!